Rivas, Jesús A., Cesar R. Molina, Sarah J. Corey, and G. M. Burghardt. 2016. “Natural History of Neonatal Green Anacondas (Eunectes Murinus): A Chip Off the Old Block.” Copeia 104 (2): 402–10. Miranda, Everton B P, Raimundo P Ribeiro-, and Christine Strüssmann. 2016. 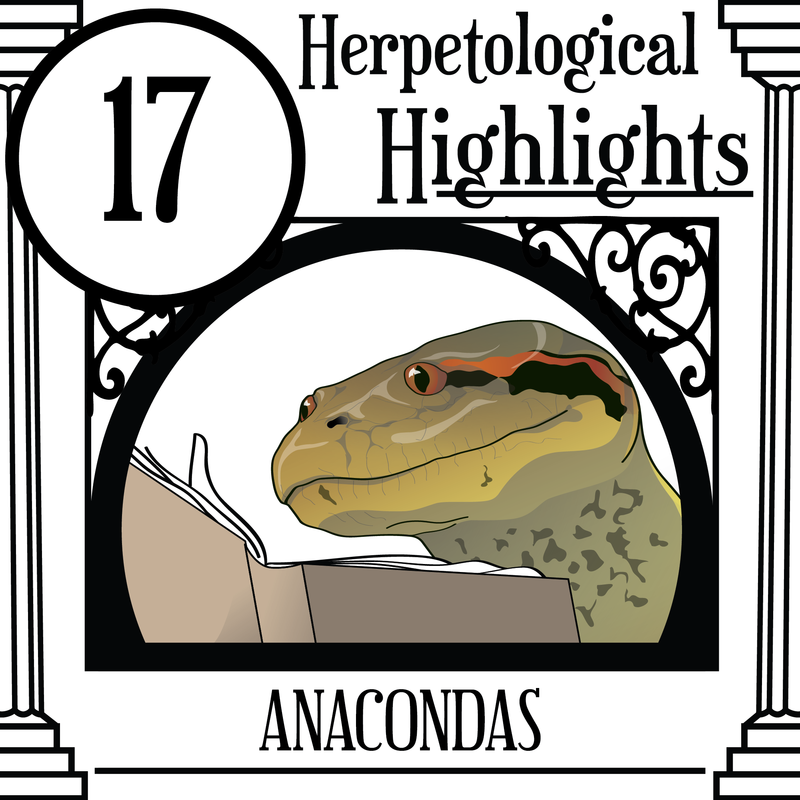 “The Ecology of Human-Anaconda Conflict: A Study Using Internet Videos.” Tropical Conservation Science 9 (1): 43–77. Aengals, R., and S. R. Ganesh. 2013. "Rhinophis goweri-a new species of Shieldtail snake from the southern Eastern Ghats, India." Russian Journal of Herpetology 20 (1): 61-65. De la Quintana, Paola, Jesús A. Rivas, Federico Valdivia, and Luis F. Pacheco. 2017. "Home range and habitat use of Beni anacondas (Eunectes beniensis) in Bolivia." Amphibia-Reptilia 38 (4): 547-553. Denny, MW, BL Lockwood, and GN Somero. 2009. “Can the Giant Snake Predict Palaeoclimate?” Nature 460 (7255): E3–4. Gans, Carl, Herbert C. Dessauer, and Dusan Baic. 1978. "Axial differences in the musculature of uropeltid snakes: the freight-train approach to burrowing." Science 199 (4325): 189-192. Head, JJ, JI Bloch, AK Hastings, JR Bourque, EA Cadena, FA Herrera, PD Polly, and CA Jaramillo. 2009. “Head et Al. Reply.” Nature 460 (7255): E4–5. Head, JJ, JI Bloch, AK Hastings, JR Bourque, EA Cadena, FA Herrera, PD Polly, and CA Jaramillo. 2009. “Giant Boid Snake from the Palaeocene Neotropics Reveals Hotter Past Equatorial Temperatures.” Nature 457 (7230). Nature Publishing Group: 715–17. Headland, TN, and HW Greene. 2011. “Hunter-Gatherers and Other Primates as Prey, Predators, and Competitors of Snakes.” Proceedings of the National Academy of Sciences 108 (52): 1470–74. Makarieva, AM, VG Gorshkov, and B-L Li. 2009. “Re-Calibrating the Snake Palaeothermometer.” Nature 460 (7255): E2–3. Maritz, B, J Penner, M Martins, J Crnobrnja-Isailović, S Spear, LRV Alencar, J Sigala-Rodriguez, et al. 2016. “Identifying Global Priorities for the Conservation of Vipers.” Biological Conservation 204: 94–102. Milanesi, P, FT Breiner, F Puopolo, and R Holderegger. 2017. “European Human-Dominated Landscapes Provide Ample Space for the Recolonization of Large Carnivore Populations under Future Land Change Scenarios.” Ecography 40: 1359–68. Moleón, M, JA Sánchez-Zapata, JM Gil-Sánchez, JM Barea-Azcón, E Ballesteros-Duperón, and E Virgós. 2011. “Laying the Foundations for a Human-Predator Conflict Solution: Assessing the Impact of Bonelli’s Eagle on Rabbits and Partridges.” PLoS ONE 6 (7). Natusch, D. J., and J. A. Lyons. 2012. "Relationships between ontogenetic changes in prey selection, head shape, sexual maturity, and colour in an Australasian python (Morelia viridis)." Biological Journal of the Linnean Society, 107 (2): 269-276. Pike, DA, L Pizzatto, BA Pike, and R Shine. 2008. “Estimating Survival Rates of Uncatchable Animals: The Myth of High Juvenile Mortality in Reptiles.” Ecology 89 (3): 607–11. Potts, JM, ST Buckland, L Thomas, and A Savage. 2012. “Estimating Abundance of Cryptic but Trappable Animals Using Trapping Point Transects: A Case Study for Key Largo Woodrats.” Methods in Ecology and Evolution 3 (4): 695–703. Sniderman, JMK. 2009. 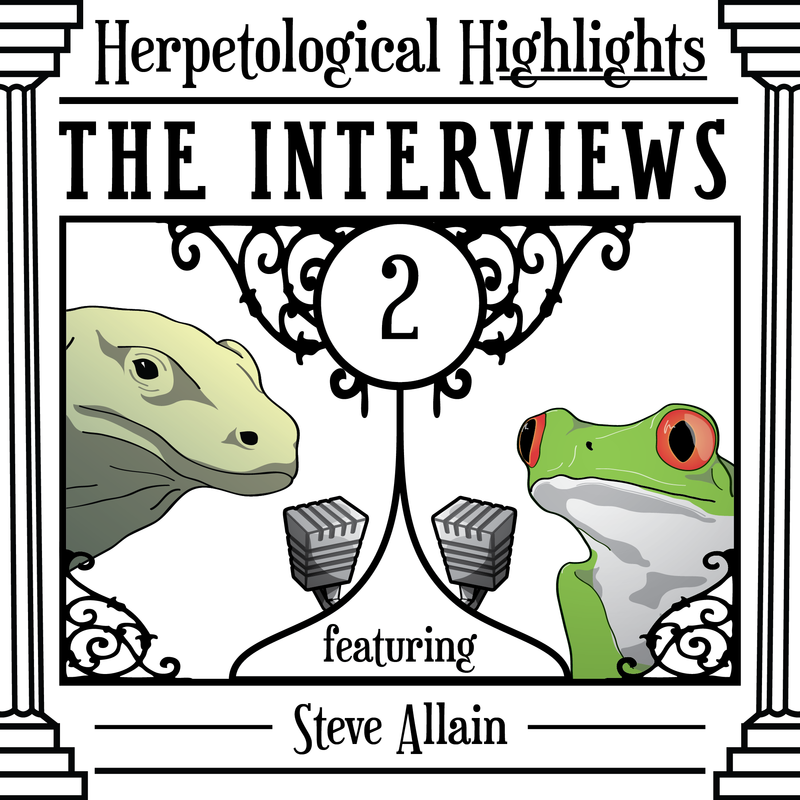 “Biased Reptilian Palaeothermometer?” Nature 460 (7255): E1–2. Strimple, P. D. 1993. “Overview of the natural history of the green anaconda (Eunectes murinus).” Herpetological Natural History, 1(1): 25-35. Bogart, James P., Jessica E. Linton, and Al Sandilands. 2017. 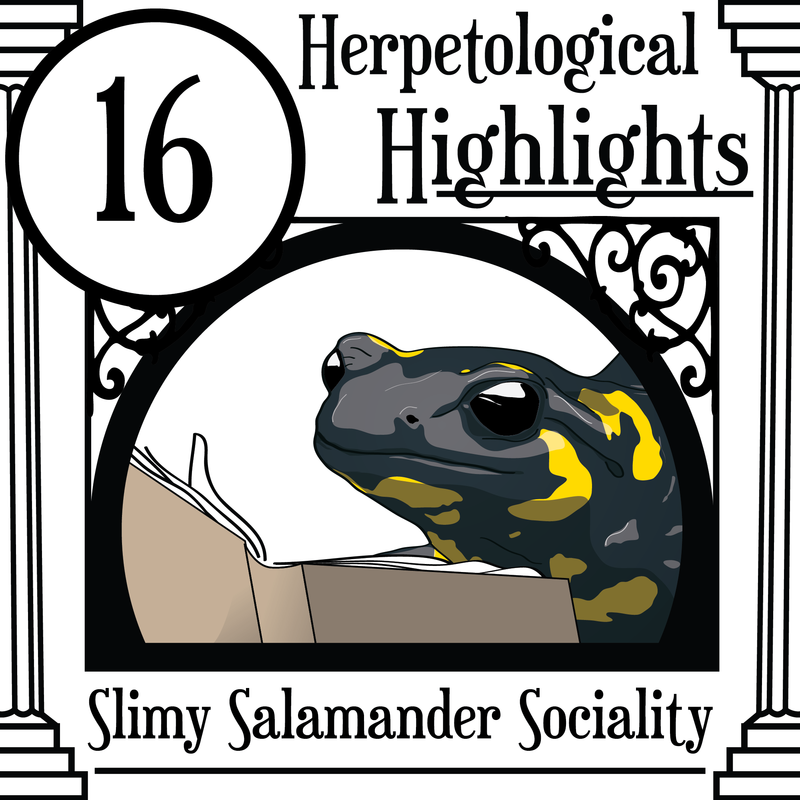 “A Population in Limbo: Unisexual Salamanders (Genus Ambystoma) Decline without Sperm-Donating Species.” Herpetological Conservation and Biology 12 (1): 41–55. Reiter, M. K., Anthony, C. D., & Hickerson, C. A. M. (2014). Territorial behavior and ecological divergence in a polymorphic salamander. Copeia, 2014(3), 481-488. Mccranie, J. R., & Rovito, S. M. (2014). New species of salamander (Caudata: Plethodontidae: Cryptotriton) from Quebrada Cataguana, Francisco Morazán, Honduras, with comments on the taxonomic status of Cryptotriton wakei. Zootaxa, 3795(1), 61-70. Bi, K, and JP Bogart. 2010. “Time and Time Again: Unisexual Salamanders (Genus Ambystoma) Are the Oldest Unisexual Vertebrates.” BMC Evolutionary Biology 10: 238. doi:10.1186/1471-2148-10-238. Cleveland, WS, and R McGill. 1984. “Graphical Perceptions: Theory, Experimentation, and Application to the Development of Graphical Methods.” Journal of the American Statistical Association 79 (387): 531–54. Petruzzi, EE, PH Niewiarowski, and FB-G Moore. 2006. “The Role of Thermal Niche Selection in Maintenance of a Colour Polymorphism in Redback Salamanders (Plethodon Cinereus).” Frontiers in Zoology 3: 10. doi:10.1186/1742-9994-3-10. Verrell, P. A., & Krenz, J. D. (1998). Competition for mates in the mole salamander, Ambystoma talpoideum: tactics that may maximize male mating success. Behaviour, 135(2), 121-138.